The PSAI Underwater Cave Survey and Cartography Manual is designed provide divers with information to properly use the tools required by a diver conducting cave survey and the tools used to take the data-points and other dive survey media, data and information to produce and accurate map of an underwater cave (in whole or in part) to the stated grade on the final map. NOW IN FULL COLOR ! 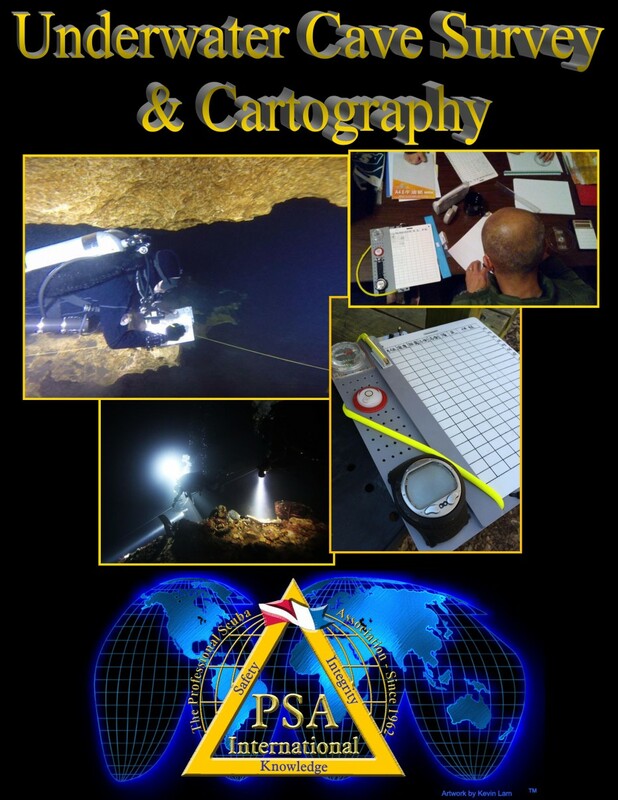 PSAI is the very first certification agency to offer a complete Underwater Cave Survey & Cartography training program (including published manuals, course slide presentations for the instructor, standardized exams, and more.